Bio Notes: John Russell Walker was born at Monimail, Fife in 1847, the son of Robert Walker, farmer, and his wife Jane Graham. He was articled to David Rhind for five years from c.1863, after or during which period he made a study tour of Normandy. Thereafter he was principal assistant to James Cubitt of Broad Street, London for two years, living at 28 Salisbury Road, Dalston. While in London he exhibited church designs at the RSA in preparation for his return to Edinburgh, initially as assistant to the City Architect Robert Morham for eighteen months. Whilst there he lived at 15 Leopold Place and continued to exhibit at the RSA. He left Morham to commence practice on his own account in the late spring of 1873. At some point after May 1875, Walker was taken into partnership by James Sutherland, who had been practising as an architect and surveyor from his house at 12 Lauriston Gardens since c.1870. After the partnership was formed, probably as a result of Walker being invited to help with the design of Hope Park Independent Church, more central premises were obtained for the practice at 63 Hanover Street, which appears to have been Walker's home as well as his office, Sutherland's house at Lauriston Gardens becoming either wholly domestic or limited to the surveying side of the practice. The firm had acquired a higher profile by 1878 or 1879 with the competition win for a second Italian Romanesque church at Rosehall, Edinburgh. Published reports of their practice in 1877-78 sometimes give Walker's name only, suggesting he had the lead design role. Sutherland appears to have died in 1880 or 1881, Walker retaining the house and office at 63 Hanover Street. 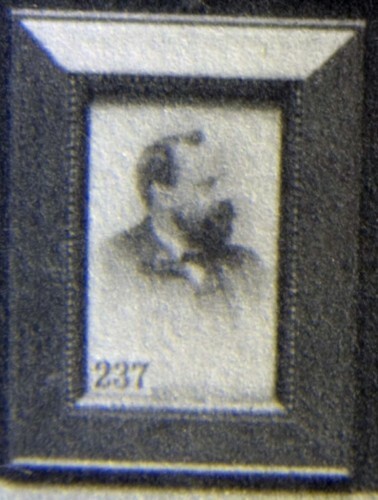 He was admitted ARIBA on 20 March 1882 at the relatively late age of thirty-five, his proposers being Robert Roward Anderson, John Bryce II and William Mackison of Dundee. His nomination was probably based on his antiquarian studies, his large folio volume 'Pre-Reformation Churches in Fifeshire' being published in 1885. There was little evidence of his antiquarian studies in his work, his later church architecture following the London Gothic manner he had learned in Cubitt's office. Around 1884 Sutherland's son James Sutherland (junior) appears to have left Walker's practice to set up on his own account with an office at 4 George Street, but his practice does not appear to have prospered as it closed within a very few years. In late 1888 or early 1889 Walker moved office to 67B Hanover Street. He died on 25 July 1891 at Lochside House, Duddingston. His widow, Isabella Williamson, appears to have lived briefly at Duddingston and then moved to Rainhill near Liverpool and died on 30 December 1892. Robert Robertson 1886 1890 Apprentice May have been apprentice from 1883 and assistant towards the end of this period.